Idea Fortress – Is Breaking Free To Follow Your Dream In Your Vocab? KillerStartups > Startup Reviews > Idea Fortress – Is Breaking Free To Follow Your Dream In Your Vocab? Ask most people what they would do for work if they could do anything, and the answer usually is something other than their current job. Lucky or brave, and fiercely determined, are those that pursue doing what they love – especially when it involves stepping away from solid employment. Justin Heinzer is one of the bold ones, who turned his back on a job designing ads for corporations so that he could make mobile apps. He wanted to be out of an office for good, and more importantly, he wanted to turn loose all the ideas that had been walled up inside his head. The early outcome is Idea Fortress, an app company that currently has two party game apps in the App Store. Nomenclature is a game for creating fun names in just a few clicks. For example, you can determine your DJ name by combining a natural disaster with a pizza topping. Figure out your rock band’s name by joining a type of plastic surgery with your hometown… You get the idea (though you’ll have to visit the app to get wind of the results). 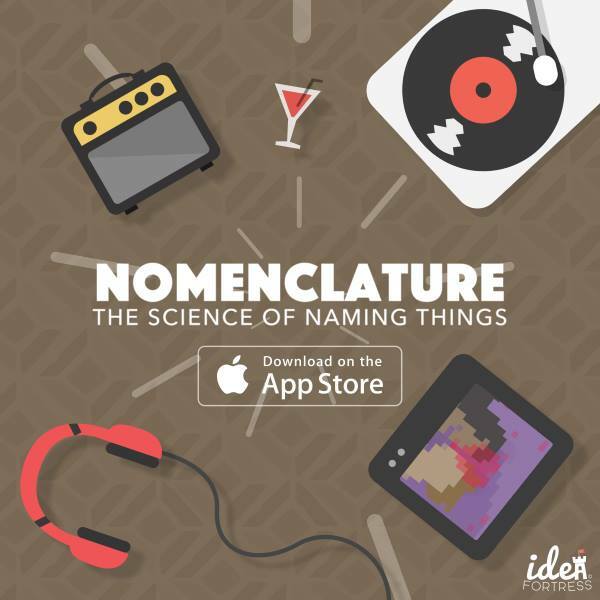 The formula is good for laughs, the kind of fun you’ve probably already had kicking around names with your friends, but at your fingertips quickly and easily thanks to Nomenclature. 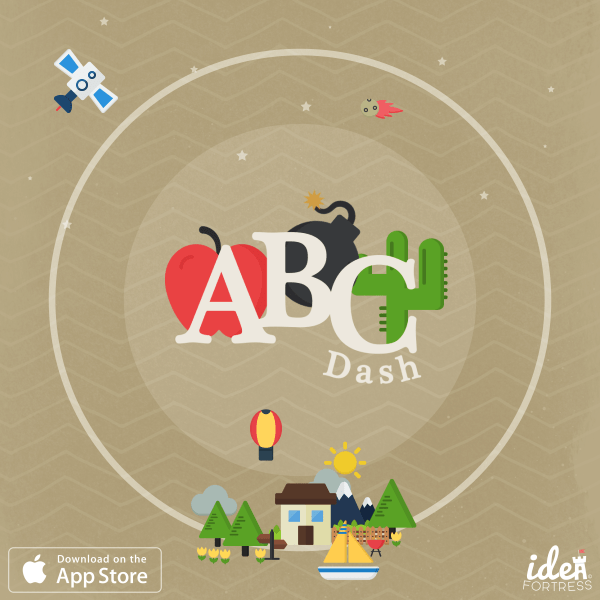 The other game Heinzer’s created is ABC Dash. This app gives players a category (things that fly, dog breed, etc.) and a letter. Come up with the name of something in the category that begins with the letter and then pass the buck onto another player. Whichever player or team comes up with the most answers before a timer winds down wins the round. Team play is encouraged. Word games. Verbal play. Vocabulary. Bias fully owned: these are my kind of party games – that I’m sure can be enjoyed thoroughly with or without a libation. Far be it from me to narrow my readers’ definition of party. So, if you love words and laughs and good company, be sure to check out Nomenclature and ABC Dash by Idea Fortress. Not only will you have the chance to have fun foolin’ with language, you’ll give a courageous entrepreneur the opportunity to keep creating apps for the enjoyment of the world. Anyone know what you call that kind of mutual victory?